For over 50 years, Air Van Moving has continually proven itself as a leader in the moving and storage industry. Through honor, fairness, integrity and hard work Air Van Moving has earned a reputation that sets us far apart from our competitors. Our innovative approach and ability to think outside the box, has enabled us to develop a suite of moving services and capabilities unprecedented in the industry today. Air Van Moving is based out of the Northwestern region of the United States with locations in Washington, Oregon, Idaho and Alaska. Our global network partner North American Van Lines Inc., allows our reach to extend across the country and around the world. “New Homes from the Ground Up! 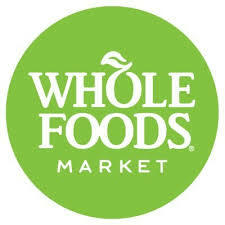 WHOLE FOODS MARKET. Selling the Highest Quality Natural and Organic Products.